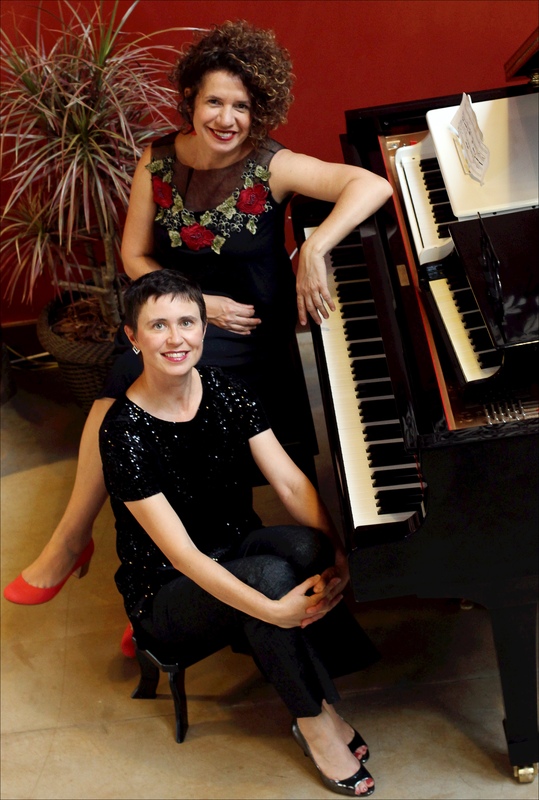 Duo CardAssiS is a Contemporary music duo for piano four-hands formed by Brazilian pianists Ana Claudia de Assis and Luciane Cardassi. Individually, Ana Claudia and Luciane are avid supporters of contemporary classical music, with long histories of collaborations with composers and the commissioning of new works for piano by Brazilian and international composers. Building upon their depth of experience, they created Duo CardAssiS in 2014, with the goal of expanding the contemporary repertoire for piano four-hands, particularly with works involving extended techniques, voice, electronics and video. In their first season Duo CardAssiS commissioned and premiered three works: “Titanium” by João Pedro Oliveira, “Far From Here Sunset is Early Morning III” by Alexandre Espinheira and “Time-Lapse” by Danniel Ferraz. Their concert programs also included works by composers Roberto Victorio, Celso Loureiro Chaves, Rogério Vasconcelos, Rafael Oliveira, Francisco Colasanto, Salvatore Sciarrino and Paulo Guicheney. In 2015 Duo CardAssiS made Brazilian premières of “Sorex” by Canadian composer Emily Doolittle, “Curva ao infinito” by Edson Zampronha and “Poema Místico” by Lourdes Saraiva. They also performed the world première of “Intermitências” by Eduardo Campolina and “Gesang of a ([melo] dramatically) perduto amour” by Antonio Celso Ribeiro. The essential musical affinity between these two performers is clear, enhanced by their individual careers, each dedicated to the creation, performance and promotion of the music of our times. Duo CardAssiS is currently planning their next season, which will present new and exciting works to audiences in Brazil and abroad.